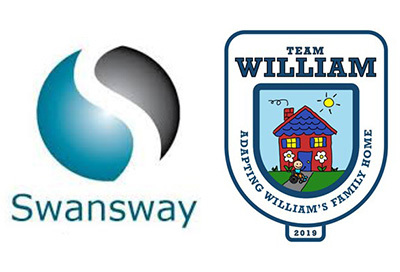 Based in Crewe, with vehicle dealerships and centres from Birmingham to Carlisle, Swansway have generously donated £1,000 to William’s home adaptations project. 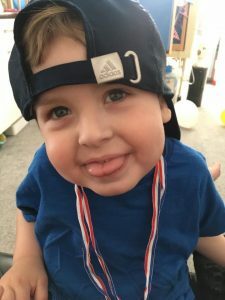 The funds will be used towards the £40,000 target required to build an extension on William’s home to accommodate his needs now and as he grows. The adaptations will provide a dedicated wheelchair accessible bedroom and wetroom for William with a ceiling mounted hoist, adjoining the main living area so he can easily be included in all aspects of family life. The project will also create ramped access to outside for William, as well as wheelchair friendly access into and around all the rooms he needs to use. Currently, moving his wheelchair and other equipment in and around the house is difficult in most areas and impossible in others, so William is very excited about the prospect of being able to get around all of his home. Thank you to everyone at Swansway Group for helping towards this life-changing difference for William.